During any Solar eclipse you're letting go. Something is being eclipsed in your past, and you're starting completely NEW. This last if three consecutive eclipses is special, as it opens the 11:11 portal (August 11 at 10:58 am UT in London, 5:58 am EST in New York, 2:58 am PDT in L.A.). It's already affecting you – eclipses are felt weeks before they occur (and many months afterwards)! The Finger of God (or Yod) is one of the rarest sacred geometric shapes in astrology. 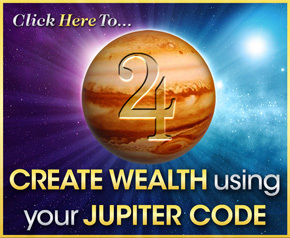 It indicates powerful mystical forces are in play – and experiences and meetings around this time will feel DESTINED. Something hidden can come to the surface. This Finger of God creates an Awakening, opening up your Awareness, creating a wonderful safe feeling that amplifies Spiritual Transformation and Growth. At the bottom of the “finger”, the planets of Pluto and Neptune are sextile each other focused like a laserbeam on the Sun/Moon Solar Eclipse. You have he courage to speak your truth, the courage to love, embrace ALL of life. This is a big moment – the 11:11 portal opens, clears the past, allows you to forgive, forget, and move forward. A New Moon eclipse ALSO signifies a fresh start. So this moment initiates a major turning point that will take you through the rest of 2018. Listen deeply… find your sweet spot of inner peace. Create something that feels playful – JOY is flowing through your heart. You’ll get clarity on the gifts of 2018. Mercury retrograde is also conjunct the Solar eclipse. Now your internal dialogue adds deliberation and attention on your inner voice, so you only engage and actualize what inspires you. Remember, this eclipse happens in LEO – rekindling your capacity for exuberant self expression, joy, and courageous and passionate engagement! Every planet is impacted during this Eclipse. This means your entire life is activated. Every part of you is going to be stimulated and awakened. 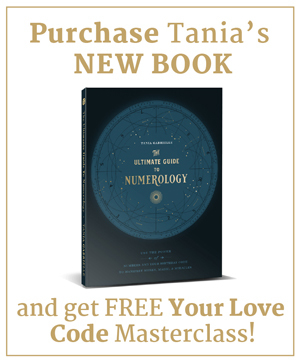 To get the complete cosmic forecast – including a major activation of VENUS – make sure you watch the eclipse video. Here's to your New Moon Solar Eclipse in Leo awakening! 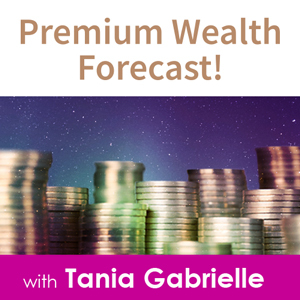 –> Listen to a free excerpt of AUGUST's Premium Wealth Forecast Here. **Feel free to share your comments below – I always love hearing from you! Thanks..Tania..I do love ur weekly forecast.. This is going to be very special – thanks so much for taking the time to share your knowledge and what is going on behind the scenes which affects us on so many levels. It is helpful and I really enjoy the readings. I’m glad to hear that, Joanne. Happy to share the good news about current and upcoming cosmic shifts! Hi Tania! I am a new follower of yours. Looking forward to your video’s! I learned about you from a colleague in the Phoenix area. I am a healer and spiritual guide in Sedona and Scottsdale. 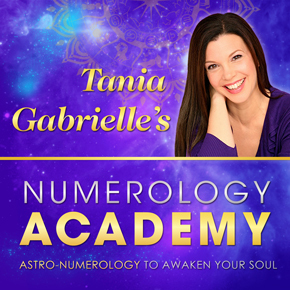 I really look forward to learning more about astrology through your site and videos! Thank you, Sarah, and welcome! Pleased to “meet” you. Enjoy this spectacular eclipse! Thank you for your generosity and love that always are present in your service to us. Happy eclipse season!! Beautiful person, beautiful spirit, comforting voice and full of love. I so enjoy listening to you and am hopeful more so when you share your knowledge.Thank you so. Grszie mille.